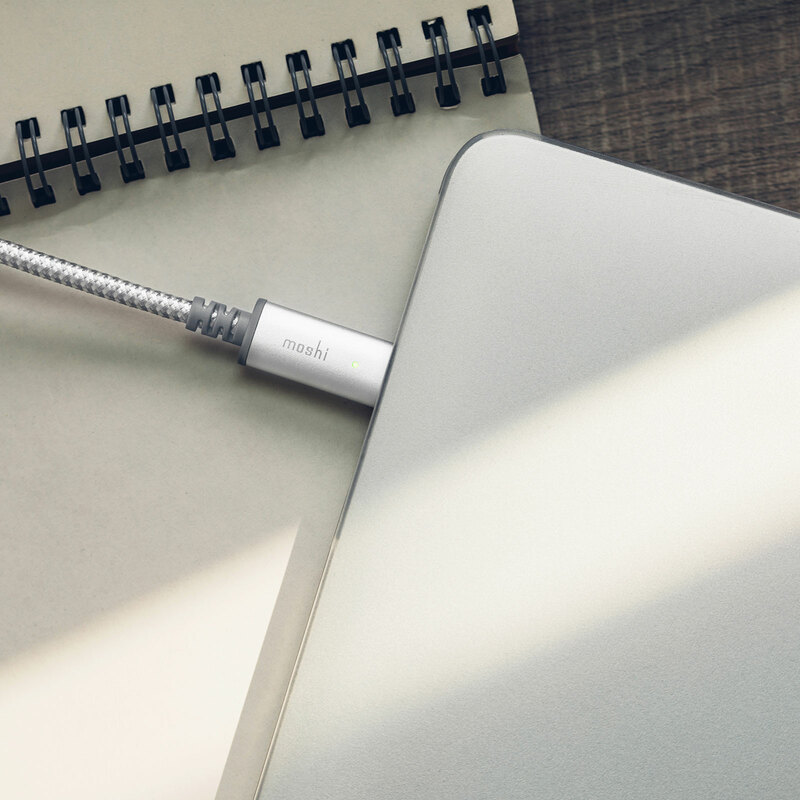 Ultra-durable cable for USB-C laptops like Apple's MacBook, MacBook Pro, and others. 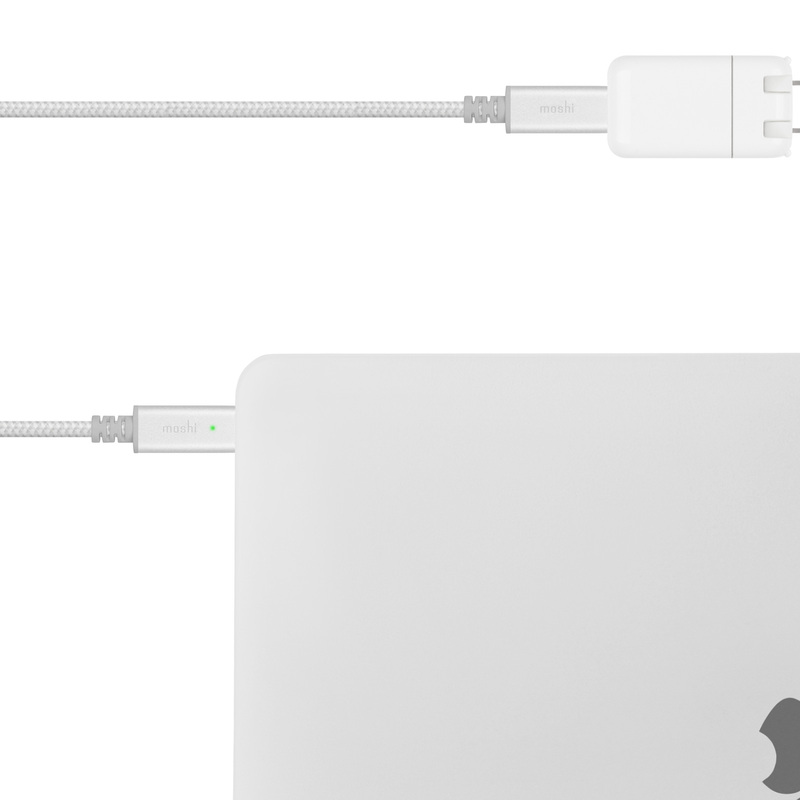 Featuring a reinforced IntegraCore spine, ballistic nylon braided sleeve, and Smart LED to let you know when your computer has fully recharged. a.Aluminum housings. / b.Stress relief points. 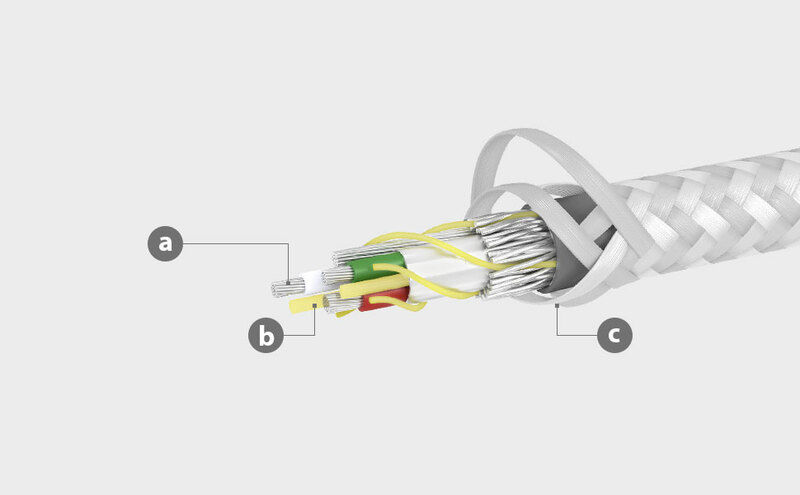 / c.Easy Cable Management with HandyStrap Cable Manager. 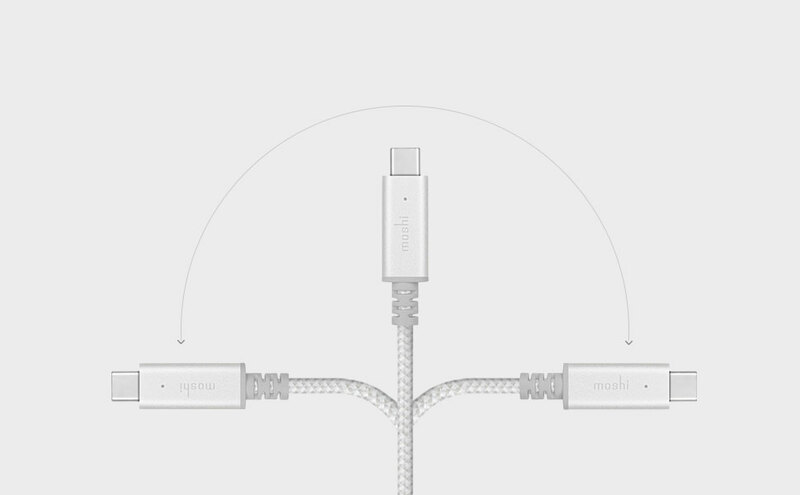 Fast charge your USB-C devices with Moshi’s Integra™ Series USB-C Charge Cable with Smart LED. 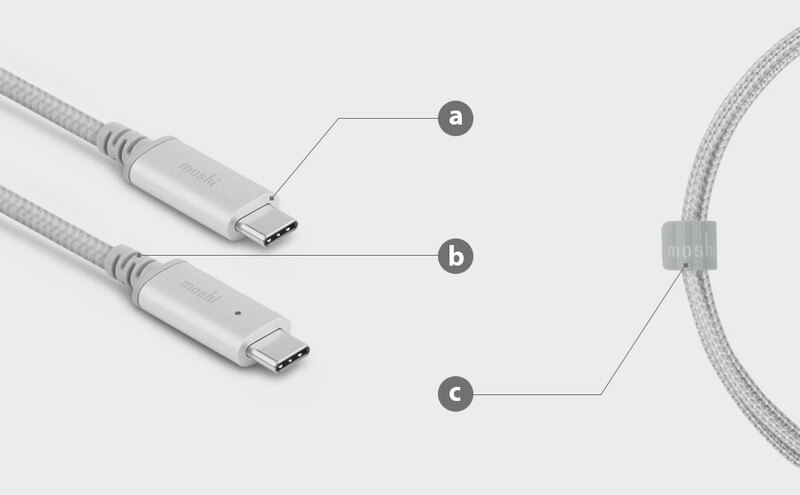 Thanks to a built-in e-marker chip, this cable fully supports all USB PD 3.0 profiles, supporting high output up to 100 W (20 V/ 5 A). 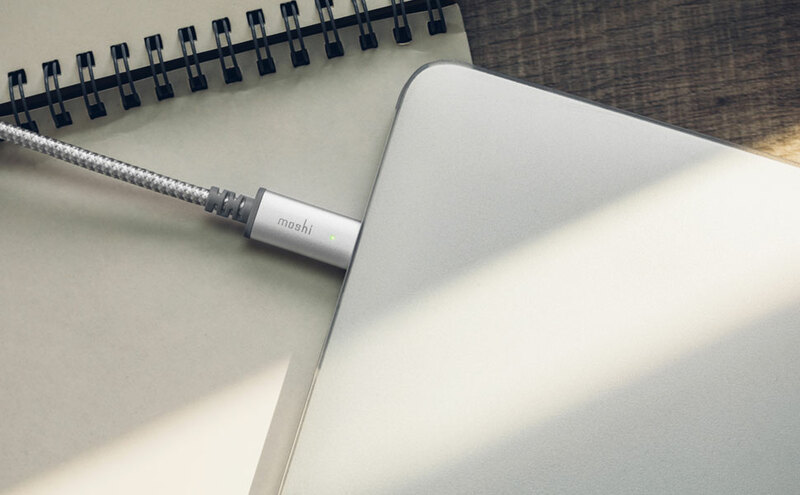 This allows you to charge your MacBook at full speed or fast-charge any USB-C device like a phone, tablet, camera, and more. 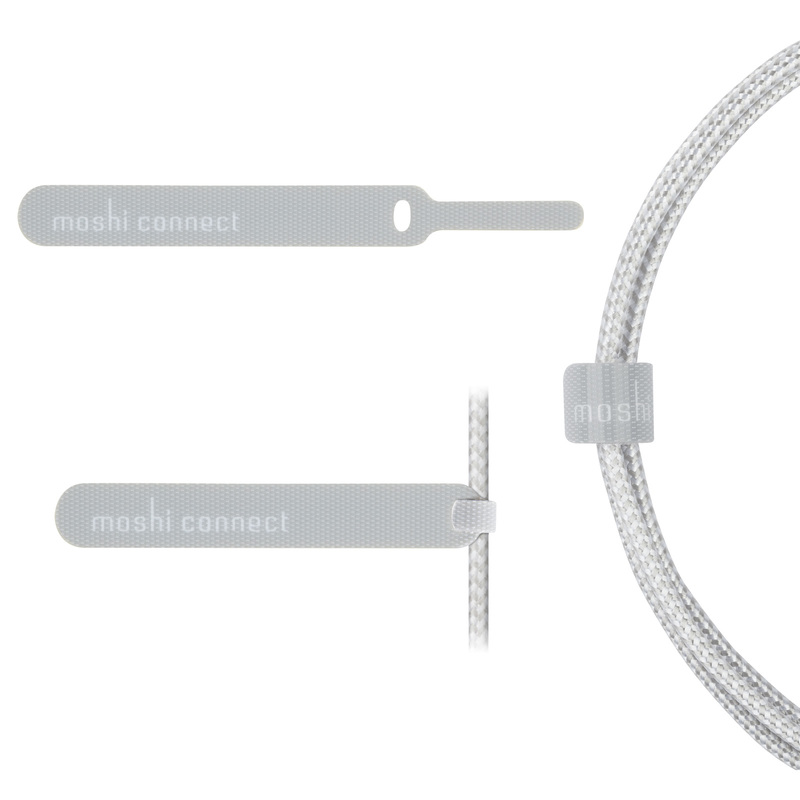 As part of Moshi’s Integra Series, this cable is constructed with 50% more high-performance IntegraCore™ than other braided cables. 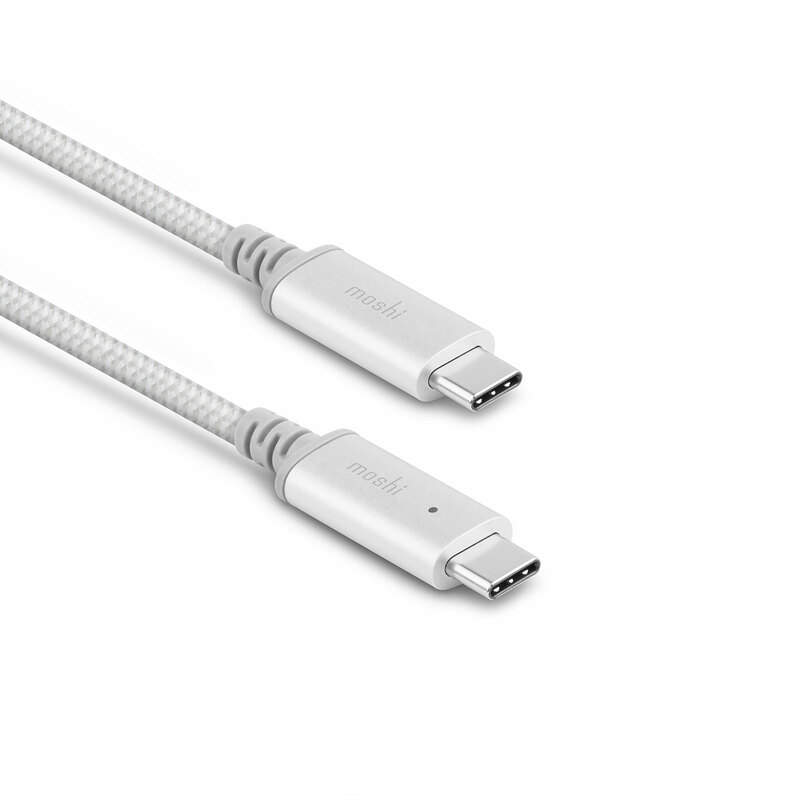 Its ballistic nylon braiding is abrasion-resistant to withstand long-term wear and tear, while the cable's anodized aluminum housings minimize electromagnetic interference. 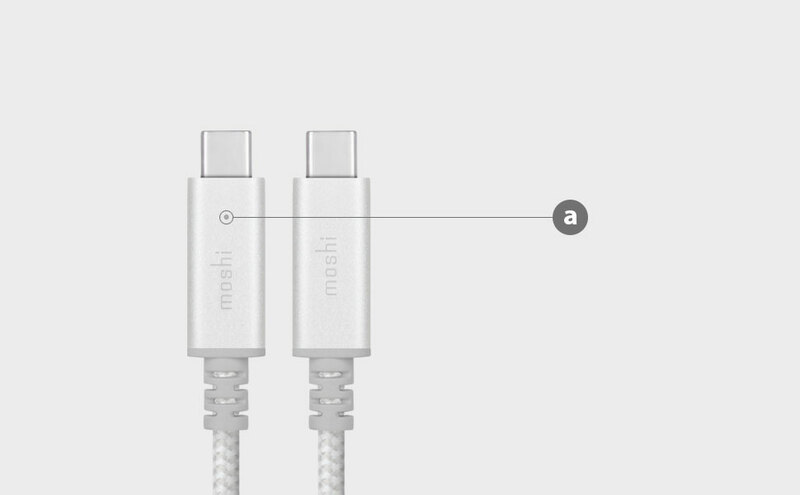 Durable and intelligent, the cable also features a microcontroller that powers a smart LED to conveniently indicate charging status. 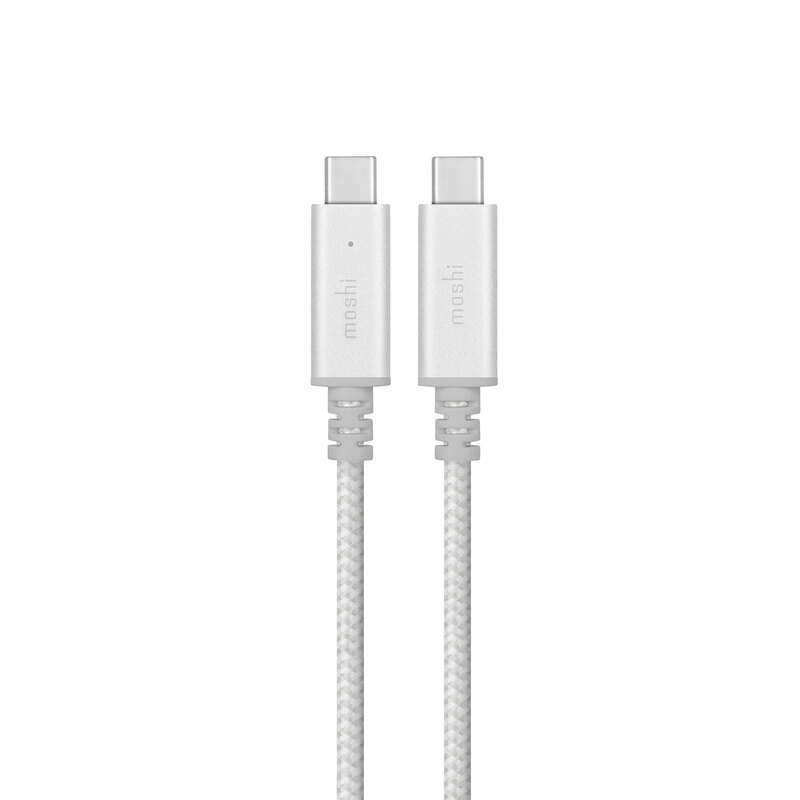 Supports USB PD 3.0 for charging up to 100 W (20 V/5 A).